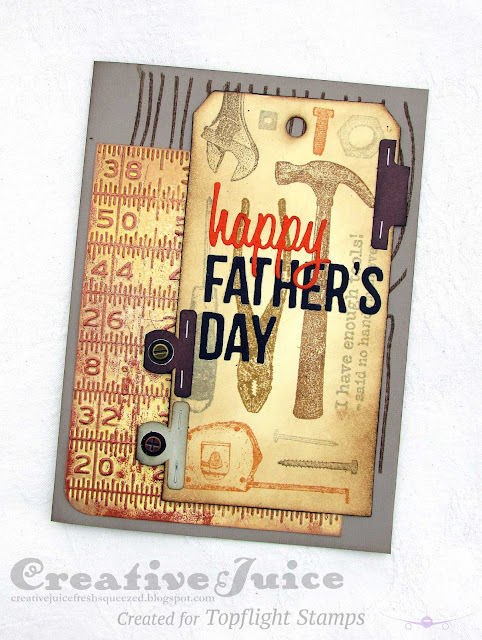 The background is stamped with a wood grain pattern and I also embossed some card stock with the Rulers embossing folder (along with adding copper embossing powder to the raised areas). I stamped a manila tag with various Distress Ink colors and all those great tool stamps from the Tool Shed stamp set. Most of the supplies I used for this project can be found at Sizzix or Simon Says Stamp. Follow the links below and a shopping you may go. ;-) Some links are affiliate links and there will be no additional cost to you but they help support my art endeavor. Thanks!